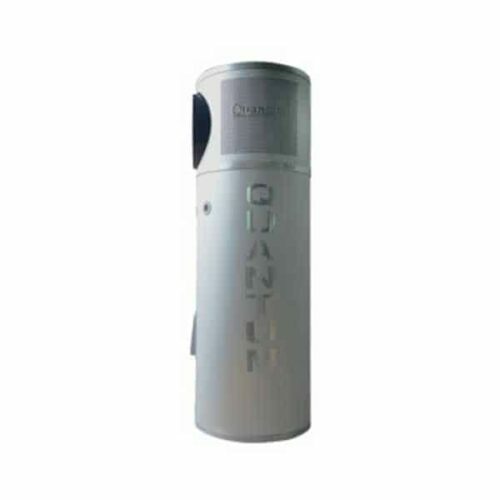 Quantum Electric Heat Pumps on SALE NOW! Change over your conventional electric hot water system and Save up to 2/3rds on your running costs with this new technology! Massive rebates of up to $1800 available! A heat pump is a bit like a reverse air conditioner. 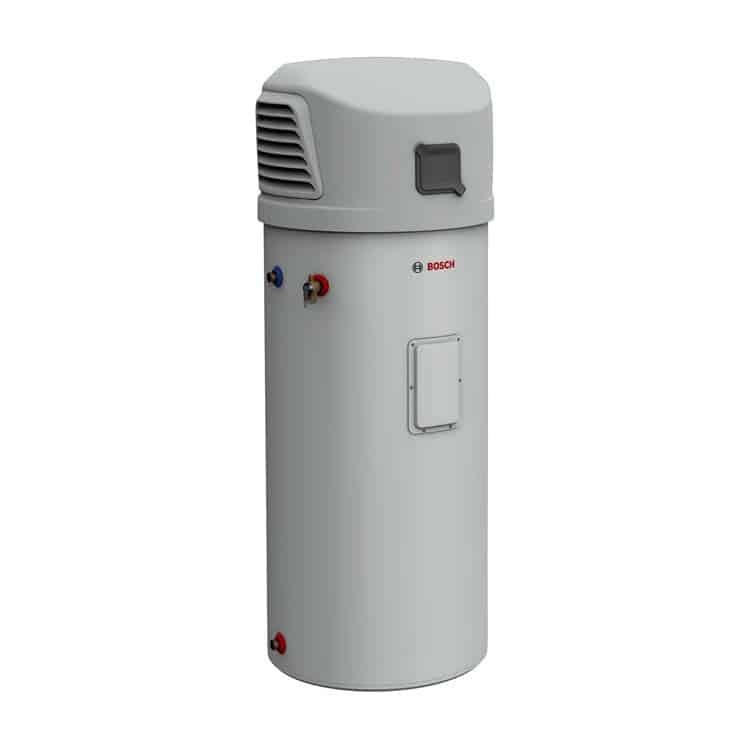 It transfers the heat from the air outside to the water stored inside the hot water heater through a heat exchange system. In the case of heat pumps, “heat” is a relative term as they work even in very cold conditions at least -10 degrees C, so you will still have plenty of hot water during the chilly winter nights. Having been developed and manufactured in Europe, the Compress 3000 is well suited to the Australian market as it operates from -7°C to 40°C – ideal for any Australian location. That means you’ll always have hot water, even if it’s below freezing outside. The Compress 3000 is also highly energy efficient – using 65% less energy than conventional electric storage hot water systems. So the money you’ll save on energy bills makes the Compress 3000 a great long-term investment. 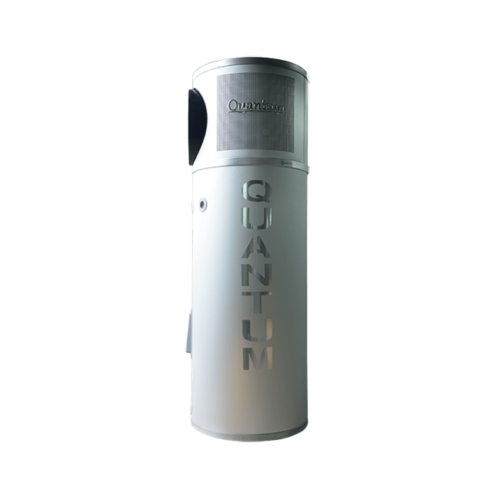 As the innovators and experts of Solar heat pump technology, Quantum has the largest range available in Australia – enabling you to select the right solution for the right application. 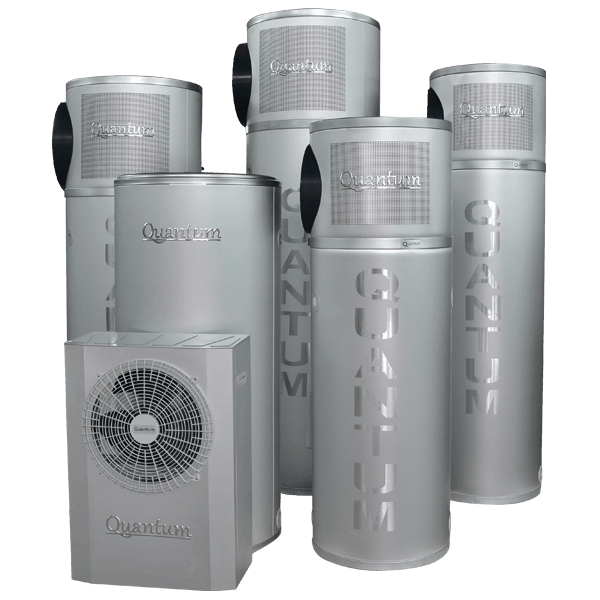 By upgrading to a Quantum Heat Pump you will save you thousands of dollars in electricty bills throughout the life of the system. It will provide you and your family with low cost, reliable, efficient, and environmentally friendly hot water. 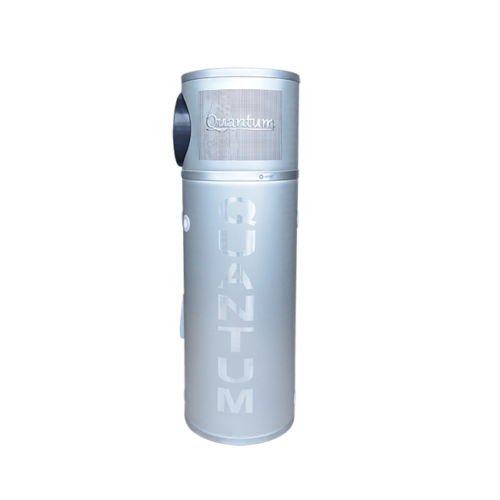 The Quantum Solar Heat Pump works on a patented reverse refrigeration process. Think of it like a fridge but in reverse…. Instead of making everything inside cold – we make everything inside hot! SUN HEATS THE AIR – This is where the solar energy is initially created, but the air doesn’t actually need to be warm for a Quantum to extract heat from it. In fact we can extract enough heat from the air to produce hot water, even if the air temperature is -10°C. ENERGISED AIR INDUCTED INTO HEAT PUMP – As the air is drawn into the system, we utilise a refrigeration process to separate and extract the heat from the air. ENERGY TRANSFERRED TO HEAT COLD WATER – This heat energy is then transferred to the water using our patented Tank Wrap Technology®. This process heats the entire tank from the outside in, using just a fraction of electricity compared to conventional heating methods! 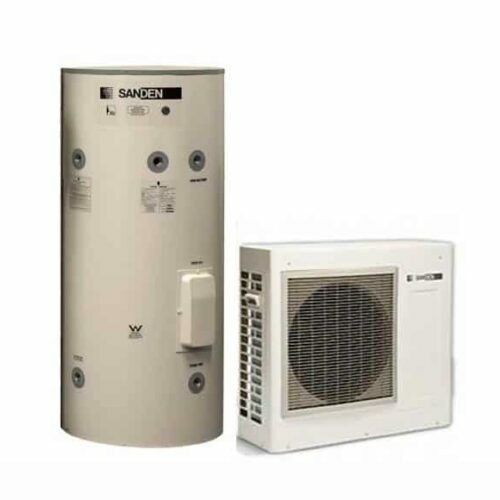 COLD AIR EXPELLED – As the heat has been extracted from the air and transferred to the water, the resulting cold air is discharged from the heat pump via the fan. This process continues until the water in the storage tank reaches the desired temperature. 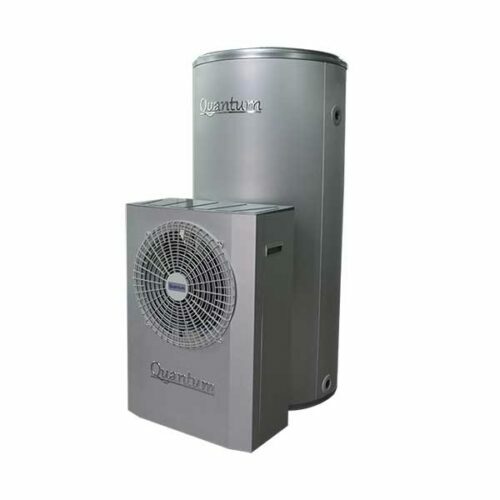 The Quantum Platinum Hybrid Heat Pump is a unique modular water heater offering enhanced product and performance capabilities. 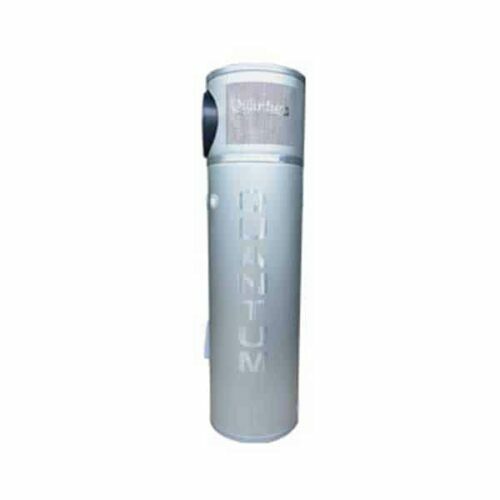 Installing a Platinum Hybrid system is also very simple and almost identical to installing a regular electric hot water system. 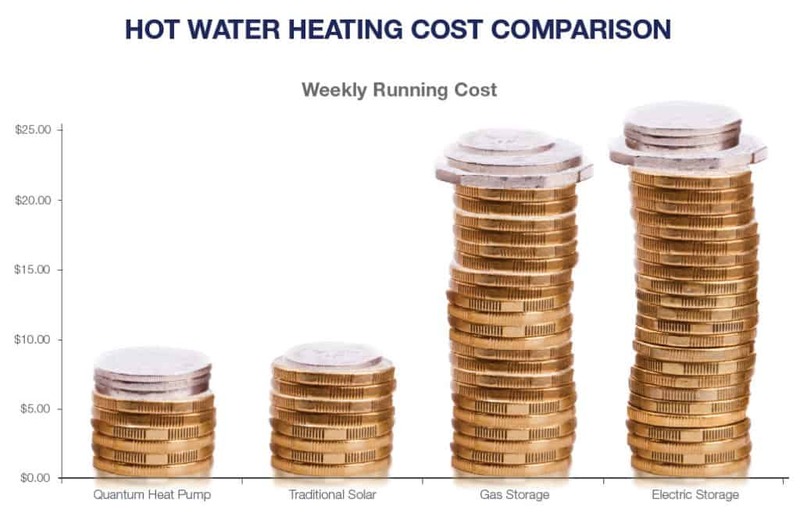 There are no roof panels or additional components, meaning an easy, trouble-free conversion from electric hot water to sustainable and reliable solar hot water for your home. With a two piece design, the tank module is installed just like any other conventional electric hot water system – and even has an active heating element to provide you with immediate hot water. However, unlike a conventional electric hot water system; once the heat pump module is attached, the active element is automatically disabled and the system converts to a fully functioning Solar Heat Pump. 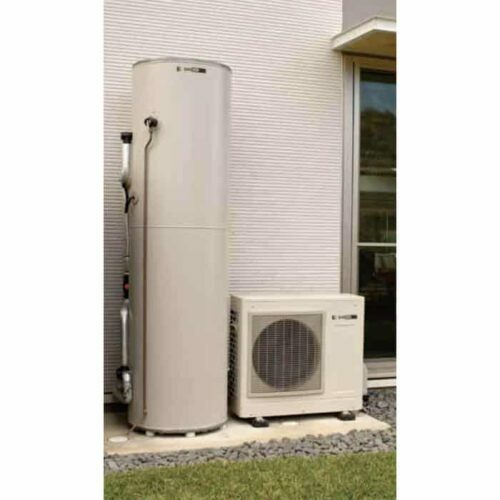 In this mode, our Platinum Hybrid Heat Pump will provide you with significant environmental benefits whilst also saving you thousands of dollars on your water heating costs. In any period of maintenance or service, our active heating element can be re-enaged by simply disconnecting the heat pump module, meaning it is capable of providing you and your family with emergency water, and peace of mind, whenever you need it most. Heat Pump Hot Water Best Price!